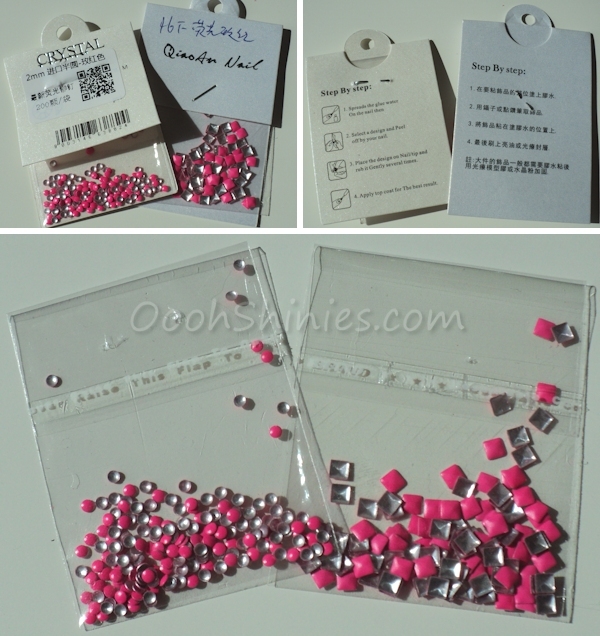 The studs that I received are 2mm round studs in color #11 and the 3mm square studs in color #16. I used China Glaze Fuchsia Fanatic as base color, and applied the studs with top coat and an orange wood stick. The neon pink combined with the bright, but darker base worked nice together, and I just went for a simple design here. I sealed them in with 2 layers of top coat, one layer is enough really, but it's very warm here today so the first layer got a bit uneven. I can totally see myself using these as little extras to spice up a basic mani, or as finishing touch to a design. And I want studs in a lot more colors now, haha. Have you tried studs already, and what do you think of these new bright/neon ones? In case you're planning on ordering some, don't forget that you'll get 10% off with coupon code ABJ61!